Is there anything else out there like it? Cloud Manager makes it simple to deploy and manage ONTAP instances. Easy to deploy and tear down instances, add storage, etc. Do not need to wade through complicated Administrator interfaces to get ONTAP instances up and running quickly. Dragging a cloud resource on to a physical resource to set up snapmirrors is wicked cool. I had to dig in to the documentation to figure out what ports to open up, but that's part of hybrid cloud life. 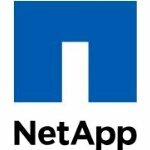 This software Netapp has put together is really second to none. It provides Enterprise quality software features like Dedup, Compression and Snapshots. The Cloud Manager software is easy to deploy and has a very nice interface. Replication is as easy as drag and drop from on prem to your Cloud ONTAP instance. Hybrid cloud and/or on premises storage, easy to use configuring, provisioning, and monitoring. Connect cloud resources to each instance, nice. For a 1.0 product that is required to deploy Cloud ONTAP i was impressed at how easy it was to use without needing to read the instructions. Cant wait to see how this product evolves.